A Moogle Kupo d'Etat: Unpurchased! 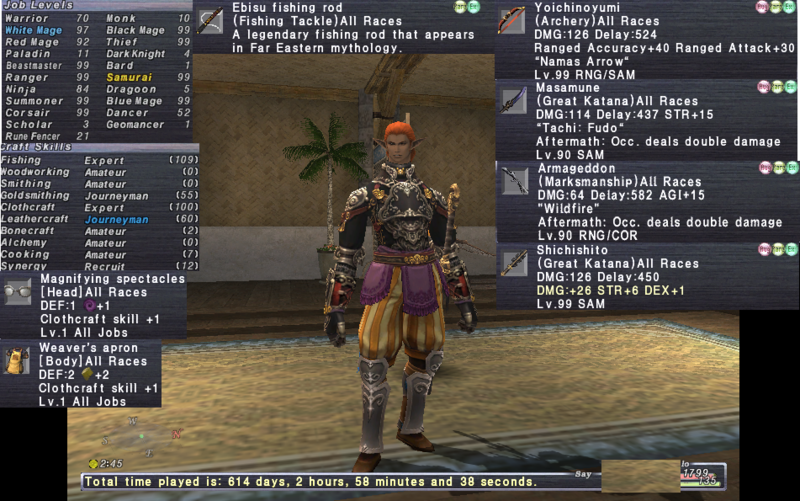 tldr& This is the most up to date account I have for sale, has the INSANE new GKT thats causing all the stir Schichishito, 99 Yoichi, This account is completed loaded on the 99 jobs, All good pieces of gear are there to make the insane gear sets, Completely up to date with missions/Abyssya/Voidwatch and great SoA process, with Rare/EX, With Ebisu 109 Fishing, and 100 Clothcraft as well!! !